She's totally killing her national costume! 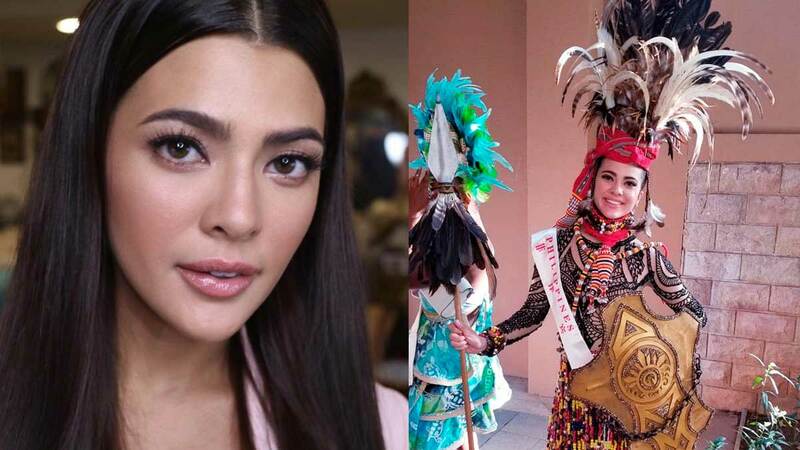 Instead of the traditional terno, Miss World Philippines 2018 Katarina Rodriguez dressed as a Kalinga warrior for her National Costume during the Dances of the World auditions in Sanya, China. A traditional part of the pre-pageant activities for Miss World, the Dances of the World showcases each candidate as they perform their countries' dances. Photos of candidates dressed in their national costumes were posted on the official social media pages of Miss World. Katarina's national costume, including her "tattoos," was inspired by the Kalinga tribal warriors and was designed by Francis Libiran.